Kerri of Les Trois Fleurs is hosting a Pretty Packaging Workshop for Cleveland Handmade members. This is a chance for you to share with and learn from other CH members and improve your packaging. The shop and classroom are both on the lower level, to the right at the bottom of the stairs. Either Kerrri or someone from Laughing Creek will be at the door to greet you as you arrive. Potluck: Please bring a snack to share. Coffee will be provided; if you'd like another kind of beverage, please bring your own." Cleveland's handmade landscape has grown and flourished. 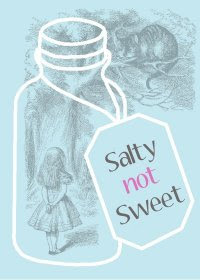 so has the evolving Salty Not Sweet. originally an indie craft show, then a series of trunk shows which highlighted a handful of hand-makers and the local businesses that hosted them. now? a retail storefront and letterpress studio that will still showcase handmade wares made here. Donations and/or volunteers are needed for the Give Your hART to Haiti Event at 78th St. Studios. 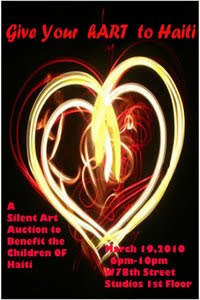 This event includes a silent auction which will benefit Save the Children. certificate to your shop) for the Cleveland Handmade basket, please email Kathy at smashing ))at(( cox ^dot^ net for the address where you may mail your donation. To be included in the basket, your donation must be received by Friday, March 12th. would like to volunteer to help host the event.